There is nothing quite like the sting of the pain of rejection. 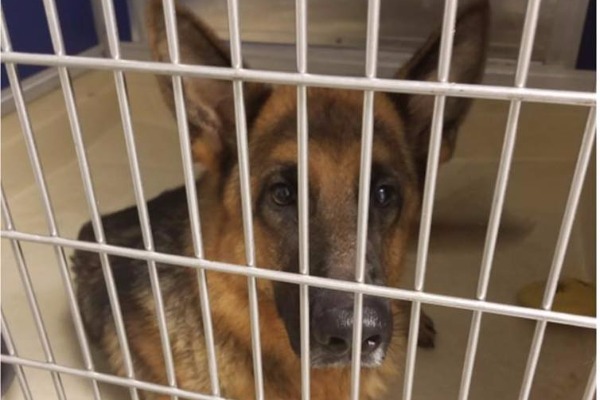 When you first meet Dukesa, a 2-year-old German Shepherd who now makes a living at the Miami-Dade Animal Services, the first thing that comes to mind is how sad she looks. Honestly, who could blame Dukesa? Her owner didn’t want to care for her any longer for and so in a stunning betrayal, he dumped her off at MDS, so she could be someone else’s problem, according to my anonymous source at the shelter with information on this case. Dukesa, who spends most of her days tucked away in a corner, wishing for a miracle, is so hurt, that she could often be heard sobbing quietly to herself before she goes to sleep every night. Sad indeed. Additionally, please share this story on Facebook or Twitter so we are closer to finding Dukesa a home. We have done it before, and can certainly do it again.